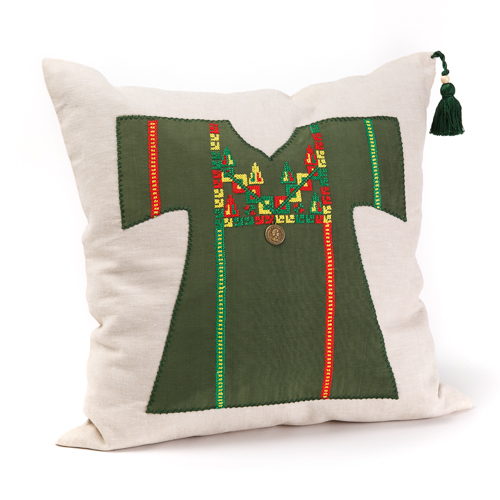 Thoub, the traditional Palestinian dress, is stitched on this beautiful cushion cover. Tassel with a wooden bead. Zipper closure on the back. 100% cotton.